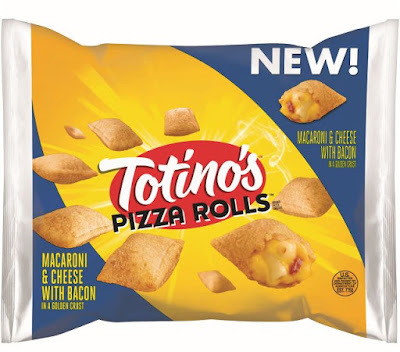 While it doesn't look like they're been spotted in stores yet, new Totino's Mac and Cheese Pizza Rolls are slated to arrive sometime this summer. The new microwavable snack features bacon mac and cheese inside of bite-size crispy pocket crust. Basically, it's being sold as a convenient, less messy way to eat mac and cheese.